“If you have a problem or a disagreement, offer a kremšnita and then everything is forgiven!” say the people of Samobor. 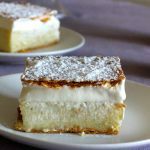 This is the story of a Croatian dessert that looks very much like a millefeuille (or Napoleon), originally from the city of Samobor, a small town near Zagreb in central Croatia. So it is in Croatia that we are headed this week on the occasion of Remembrance Day, this festival, celebrated every August 5th in memory of all the victims who fought to establish an independent and free Croatia. The word kremšnita comes from the word cremeschnitte (millefeuille in German). 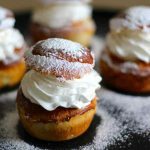 It is a cake with vanilla, cream and whipped cream, popular in several Central European countries. 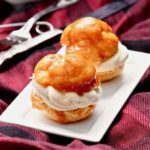 There are many regional variations, although all the recipes contain puff pastry and vanilla custard. In Slovenia, it is called kremna rezina. In Slovakia, it is known as kremes. 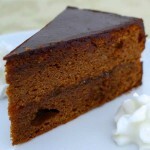 In Serbia, Macedonia, and Montenegro it is called krempita and of course in Germany, you will find it as cremeschnitte. The story of this cake began in 1923 when its inventor, Duro Lukačič arrived from Vienna and Budapest to settle in Samobor and work in his brother Mark Lukačič’s famous pastry shop. 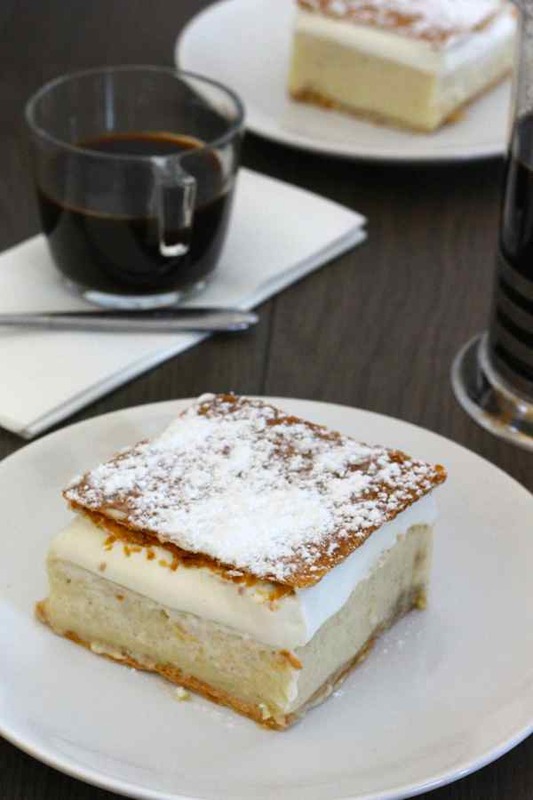 For many years, Duro Lukačič combined several excellent recipes inspired by the craftsmanship of slastičarna (pastries) in Zagreb to finally create in 1950 the now famous Samoborska kremšnita (millefeuille of Samobor). In Croatia, the two most popular variants are therefore Samoborska kremšnita and Zagrebačka kremšnita of the capital, Zagreb. 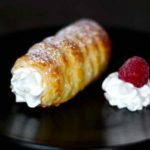 Samoborska kremšnita features two layers of puff pastry, filled mainly with cream, and on top of this cream, a thin layer of whipped cream. The top layer of puff pastry is sprinkled with icing sugar. Zagrebačka kremšnita, however, has a chocolate icing on top. I chose to make the most popular and the most authentic, that of Samobor. In Serbia, Bosnia-Herzegovina, in Macedonia and Montenegro, krempita is usually prepared as kremšnita. But there is another variant based on Italian meringue without custard or whipped cream, just egg whites. This variant is called sampita. In Slovenia, kremna rezina is often associated with the city of Bled, a small burg in the northwest of the country. 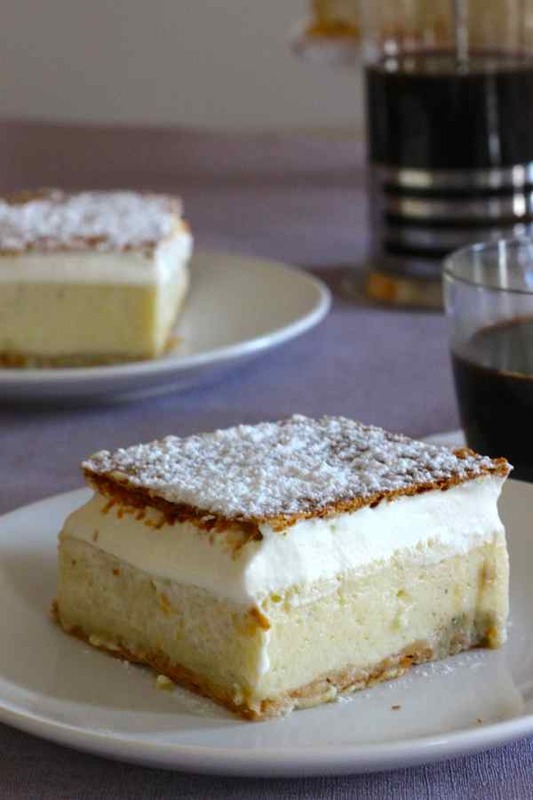 The recipe of kremšnita was introduced in Slovenia in 1953 by Istvan Kovačevič, pastry chef at the famous Hotel Park Bled. In December 2009, it was calculated that 12 million kremna rezina had been prepared since 1953. 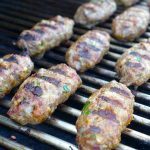 In Croatia, kremšnita has its national day or should I say its days as the ode to kremšnita lasts two full days every year at the beginning of May. On this occasion, the slastičarna (pastry shops) of Samobor offer this cake that, according to local custom, opens all doors to forgiveness and peace. If you have a problem or a disagreement, offer a kremšnita and then everything is forgiven! The gates of Samobor are wide open for people to taste kremšnita and participate in shows and entertainment that take place on the main square of the city. It was not the first time that I prepared and tasted this cream cake. A few weeks ago, I was lucky enough to work in the kitchen of a large hotel in the beautiful Montenegrin resort city of Budva. Great memories! At the gala dinner, I worked with great pleasure alongside the head chef of the hotel and it is kremšnita that he chose to serve as the dessert that evening. 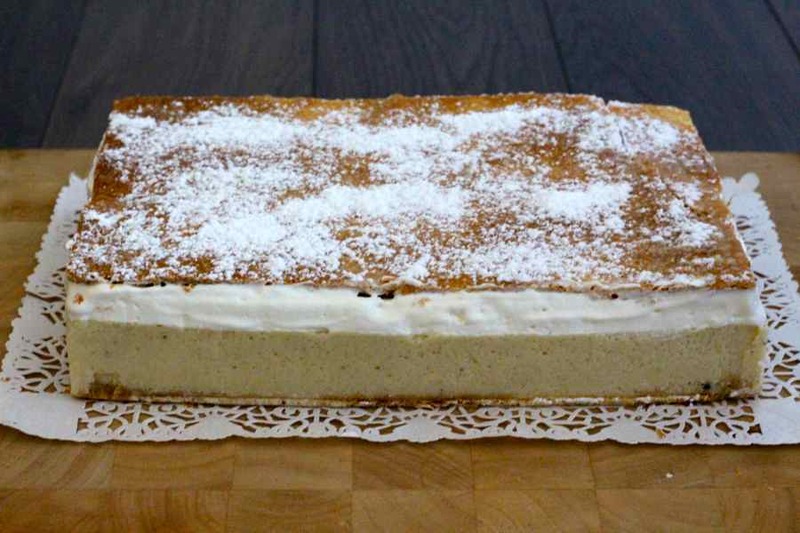 Kremšnita is a layer cake similar to millefeuille with vanilla cream and whipped cream, popular in some central European countries. Preheat the convection oven at 400 F.
Prick the two rectangles of puff pastry with a fork and bake for 10 minutes until they are golden brown. Mix all the ingredients of mixture #1 in a food processor. In a very large non-stick pot, heat mixture #2 at medium heat. Bring to a boil and remove from heat. Add mixture #1, stir, then cook on medium heat for about 15 minutes, stirring constantly until mixture thickens like a pudding. Make sure it doesn't burn. For mixture #3, beat the egg whites and add the icing sugar gradually while beating until stiff. Incorporate the egg whites slowly and gradually to the warm mixture (#1 and #2). Place a rectangular frame (baking ring) of 8 x 16 in on a large flat plate. Place the first puff pastry at the bottom of the frame, pour in the hot mixture and refrigerate for 15 minutes. Whip the cream with 4 tablespoons of icing sugar. 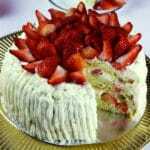 Remove the cake from the refrigerator and pour a thin layer of whipped cream on top of the cream. Place the second rectangular puff pastry on top and sprinkle with 4 tablespoons of the remaining icing sugar.